The FA Cup 2017 is about to take place and if you’re looking for a reliable way to stream the match online anywhere in the world then we have the information you need. Chelsea will take on Arsenal at Wembley Stadium this year and if you’re interested in streaming the match then you could find a little bit of difficulty. The match is being shown in the UK free of charge but in other countries around the world it might be shown on pay only TV stations or even not shown at all. So if you want to watch the FA Cup Final 2017 anywhere in the world read below. The full FA Cup Final is being shown live on UK TV network the BBC. It will also be streamed online on the BBC online service, BBC iPlayer. If you’re in the UK then you can simply visit BBC iPlayer at the time of kick-off and you’ll be able to watch but if you’re outside the UK you’ll be blocked from viewing. The great news is you can watch on the BBC from anywhere in the world and all you’ll need is a service called a VPN. A VPN allows you to alter your online location and appear in another country disguising your actual location. Visit the IPVanish VPN provider website. Download their software from their website or their app from your usual app store. Install the software/app, run it and log in when required. 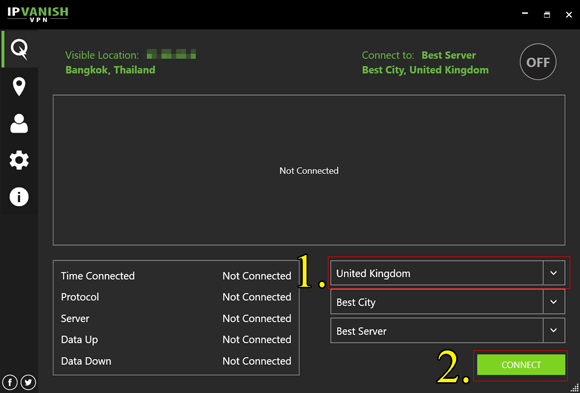 Select the United Kingdom server. After 15 – 30 seconds the IPVanish software or app will inform you that it has connected. Once connected any website that you visit will now think that you’re in the United Kingdom even though in reality you’re somewhere else in the world. All you need to do now is visit the BBC iPlayer website at kick off time and you’ll be able to watch the entire FA Cup Final between Chelsea and Arsenal. The FA Cup Final 2017 takes place on Saturday, 27th May 2017. Kick-off is at 5:30 pm BST (6:30 CET) and all the action will be streamed live online on BBC One on BBC iPlayer. 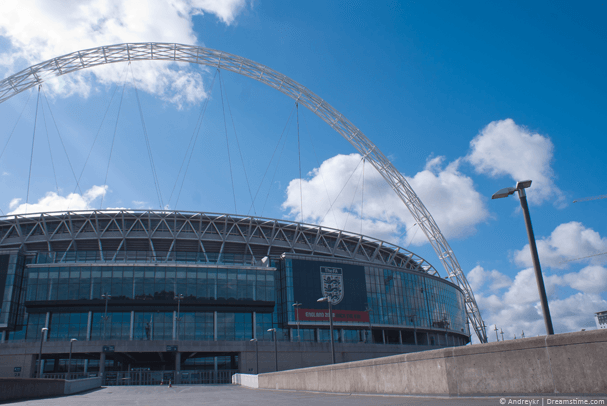 The final will take place at Wembley Stadium in London, UK. At the time of writing this article, Chelsea currently sits top of the premiership and look highly likely to take the league title this year. Arsenal, on the other hand, is playing catch-up in 5th position which is about as a high as they’re likely to finish this season. After turning their fortunes around Chelsea are riding high whereas Arsenal has been struggling most of the season with calls for long time manager Arsene Wenger to be sacked. Chelsea saw off on form Spurs in the Semi-Final to progress to Wembley Stadium but Arsenal also faced stiff competition in the form of Manchester City and managed to brush them aside with a 2-1 win. Whoever you think will win, the match promises to be an interesting final that could go either way. If you’ve got time on your hands and you’re interested in shopping around for alternative VPN services to watch the FA Cup final then there are loads to choose from. You need to ensure they’ve got a United Kingdom server which will let you watch BBC iPlayer. Luckily most do but some are blocked by BBC iPlayer so you’ll need to check first. The process is exactly the same as above. Sign-up, download their software or app for your device and connect to their United Kingdom location. A good VPN service should cost you between £3 – £6 depending on how long you subscribe too which is very good considering you can watch the entire match in top quality. Once connected visit the BBC iPlayer website at the time of kick-off and you’ll be able to stream the entire match. Enjoy watching one of the most important football finals in the world.